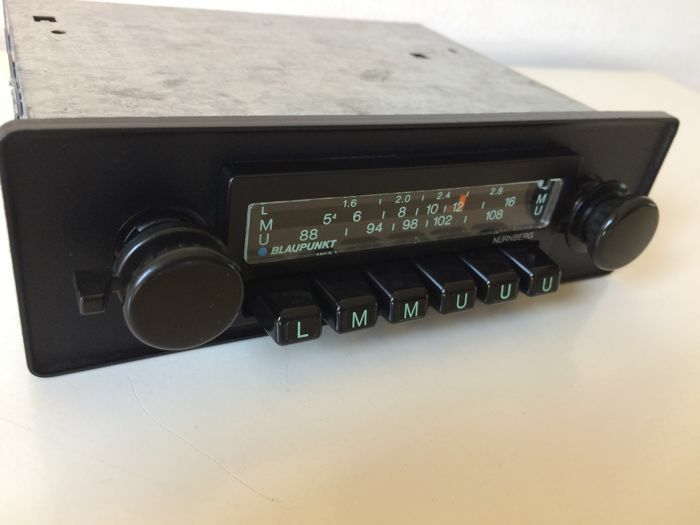 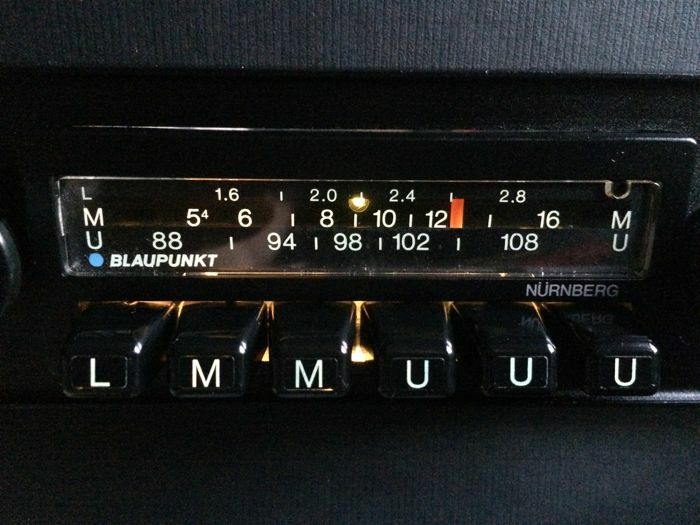 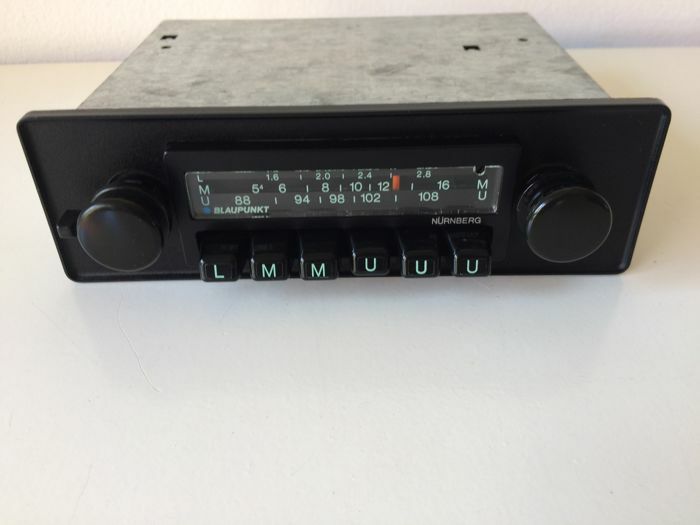 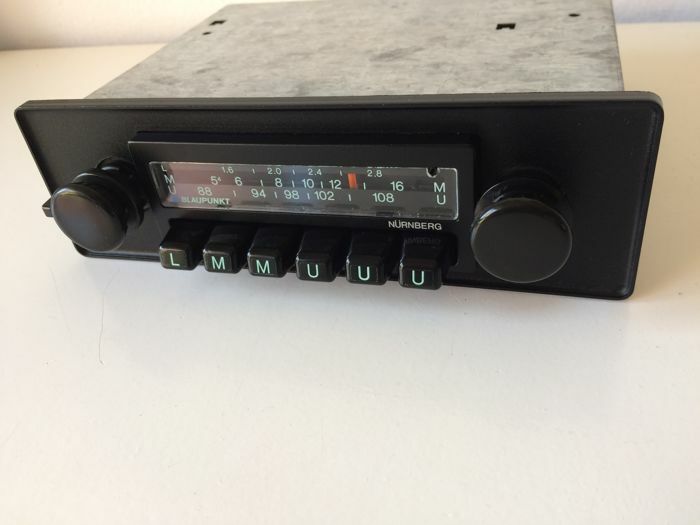 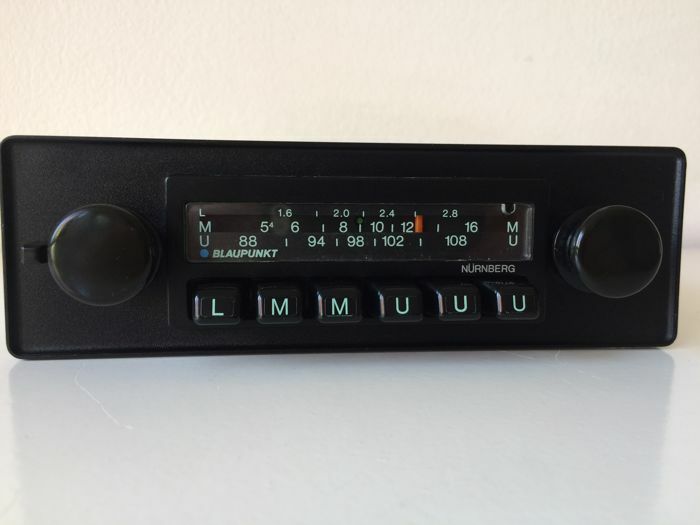 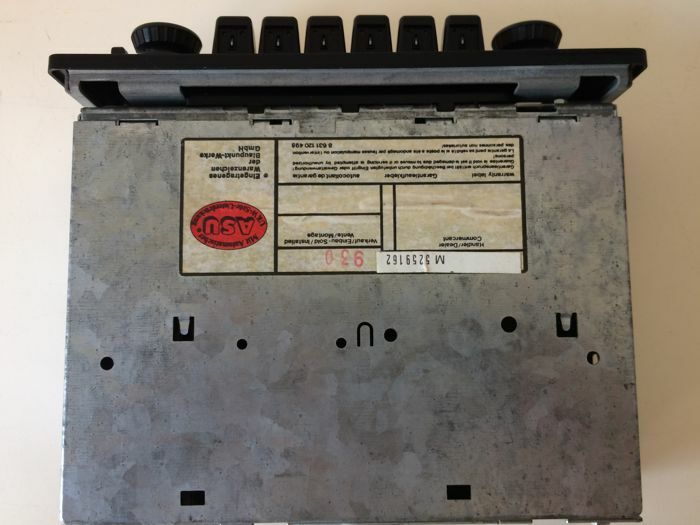 Blaupunkt Nürnberg (7639.672) from 1979 with 3 wave lengths (L/M and FM) and 6 preset buttons. 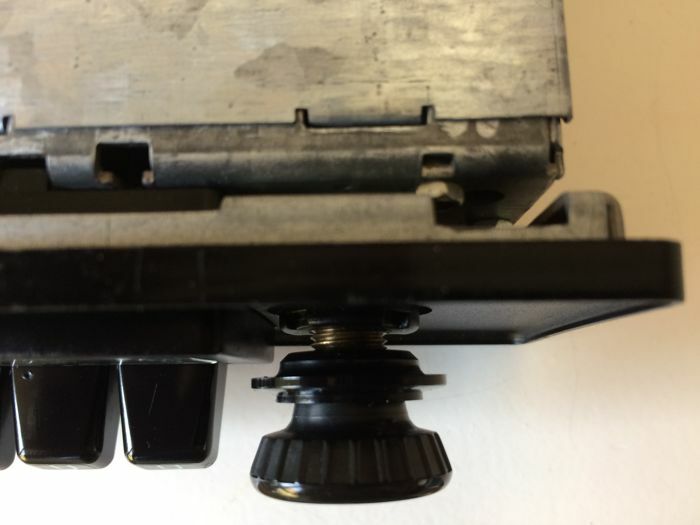 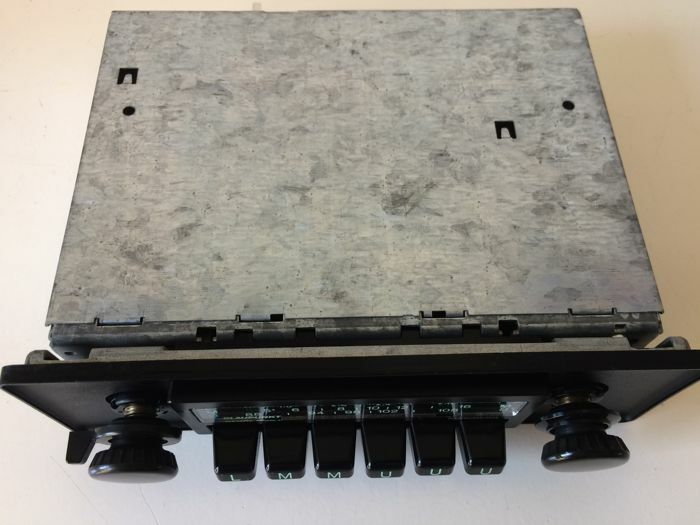 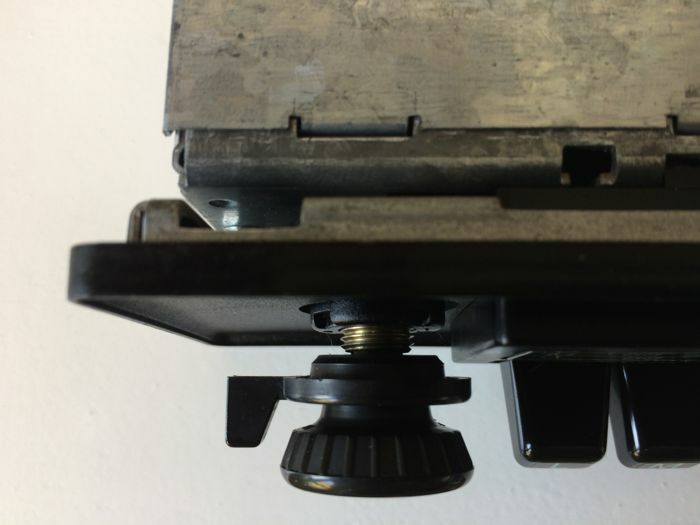 In the 1970s, this was a luxury accessory for the Opel Manta, Alfa Romeo and BMW (02 and E21-series) and it was also used in Porsches (911/944). 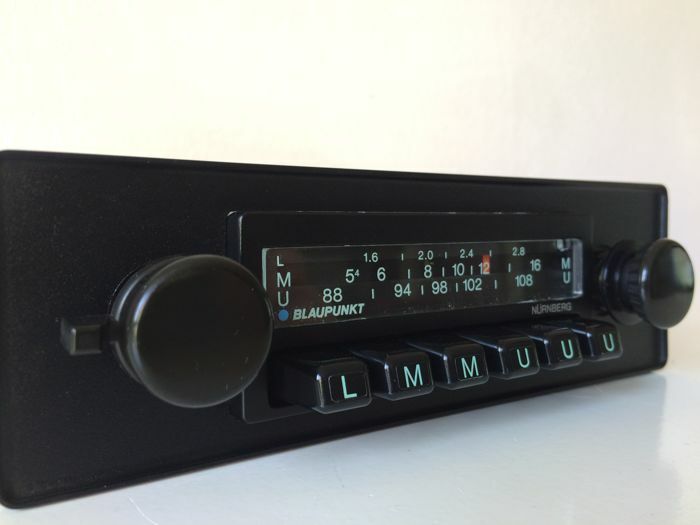 The Blaupunkt has been tested, proper reception on Long and Medium wave, excellent reception on FM, a very neat front with bright lighting and properly working on/off button, tone control and channel searcher. 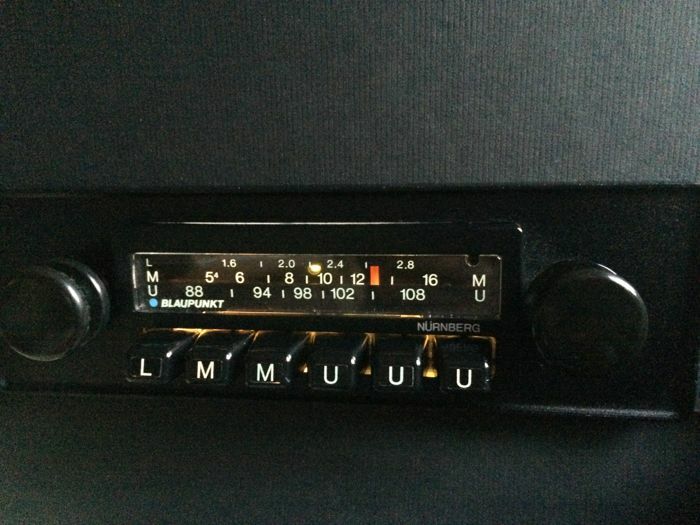 The powerful 14W amplifier produces Blaupunkt quality music - through the 2 speaker connections - in your classic car. 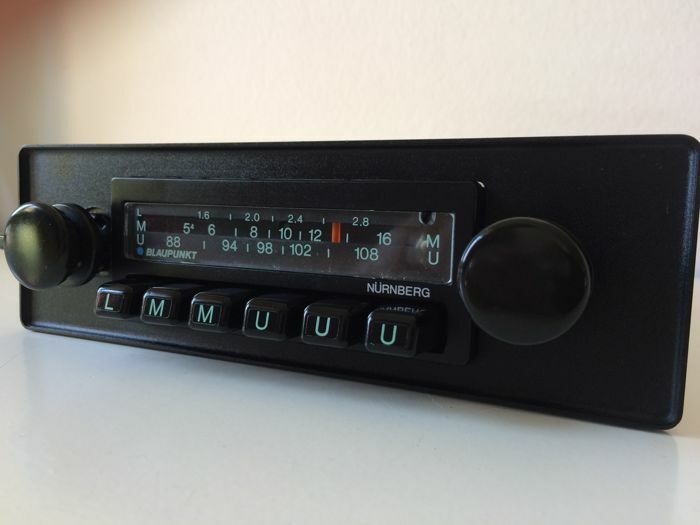 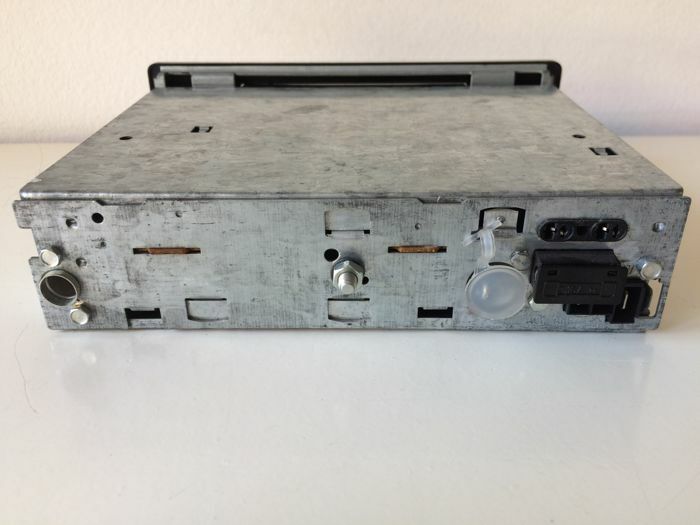 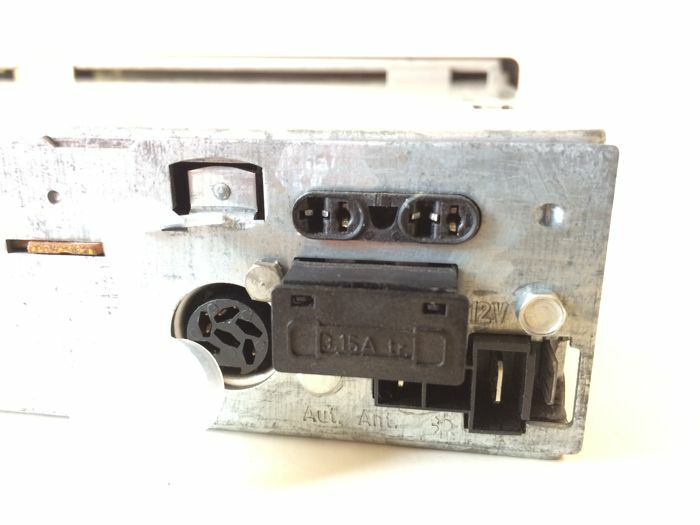 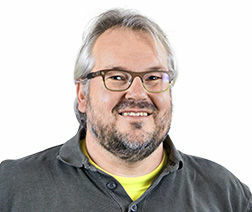 The Nürnberg is equipped with a DIN-connector so you can use your iPod/MP3 player as a music source via a separate cable (cable not included). 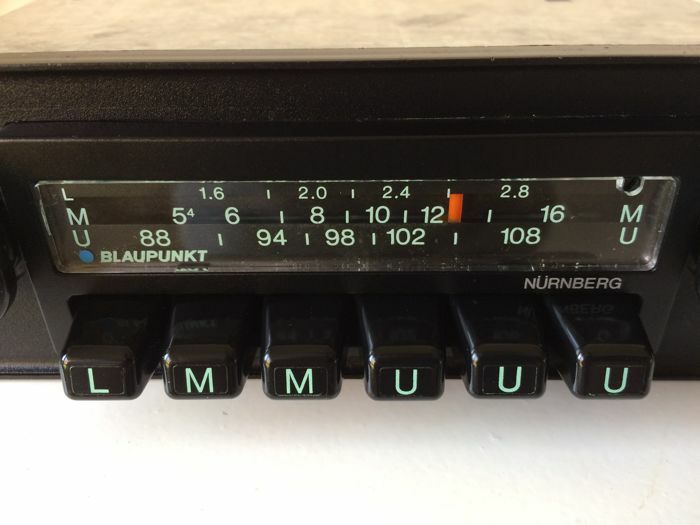 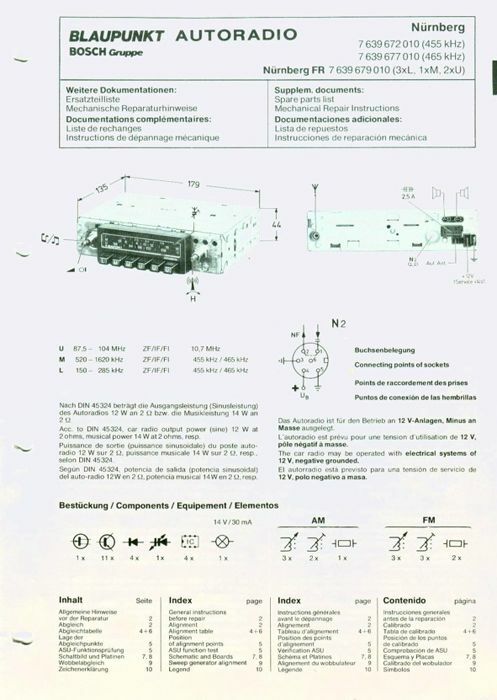 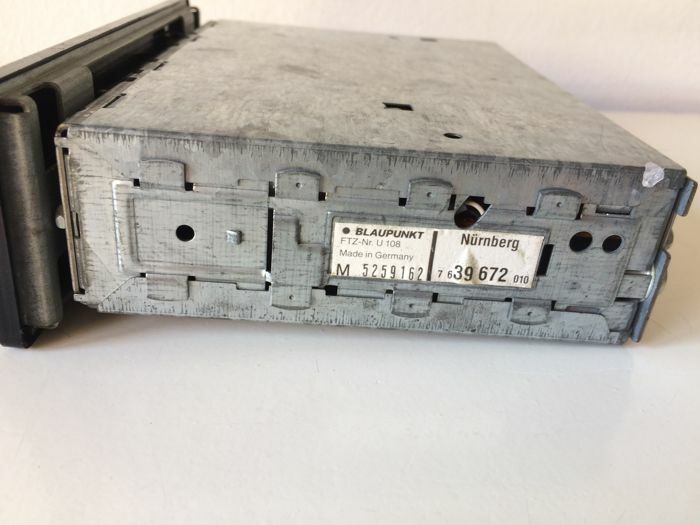 The Blaupunkt Nürnberg will be properly packaged, shipped by registered and insured manual.